Whiplash Treatment St Petersburg FL, may be what you need, If you have been in a car accident and your experiencing a sore or stiff neck, and your symptoms also include recurring headaches, chronic neck pain, dizziness, you may have sustained a whiplash injury in an auto accident or another traumatic injury to your neck and head. Whiplash is a common injury in auto accidents. Chiropractors can offer you effective, drug-free treatment for managing whiplash pain. Whiplash injuries usually occur from the force of a rear-impact accident that ‘whips’ your cervical spine back and forth beyond your necks normal range of motion. This whipping action can cause a misalignment of your cervical spine, which places pressure on the nerves in your neck that triggers chronic pain. If your spine remains out of alignment, whiplash pain will remain. Whiplash injuries to your neck can occur at speeds as low as 10 mph. The Rubin Health Center in St Petersburg has helped hundreds of patients manage their whiplash injury pain with chiropractic adjustments. Our adjustments are gentle, precise and highly targeted to correct the cervical spine subluxation that is responsible for your pain. Chiropractic care is for auto accident injuries and whiplash pain. Prescription painkillers will numb your brain’s perception of pain, but the injury is still there. You don’t want to cover up pain and allow an injury to become something you’ll have to live with the rest of your life. We may also recommend corrective care exercises to help bring mobility back to the cervical spine. These exercises are very beneficial for patients who suffer from a restricted range of motion due to soreness and stiffness, and these exercises can be performed at home. Auto accident injuries make it difficult to enjoy the activities you enjoy, as well as compromising sleep quality, as well as making it hard to sit or stand for long periods. With our advanced chiropractic care, the Rubin Health Center can help you manage your pain and enjoy life again. Whiplash injuries can be extremely debilitating. Doctor Rubin will safely manage your pain without the need for drugs. Contact The Rubin Health Center in St Petersburg today. 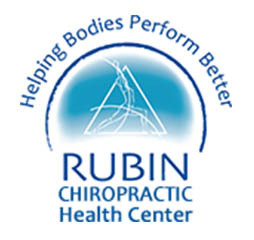 Dr Rubin is St Petersburg’s leading Auto Injury Chiropractor. Call us at (727) 822-1555 for an appointment right away.